What is the cheapest way to get from Adare to Galway? The cheapest way to get from Adare to Galway is to drive which costs 13€ - 20€ and takes 1h 14m. What is the fastest way to get from Adare to Galway? The quickest way to get from Adare to Galway is to drive which costs 13€ - 20€ and takes 1h 14m. Is there a direct bus between Adare and Galway? No, there is no direct bus from Adare to Galway station. However, there are services departing from Adare, Adare and arriving at Eyre Square, Galway Bus Station via Glentworth, Limerick Bus Station. 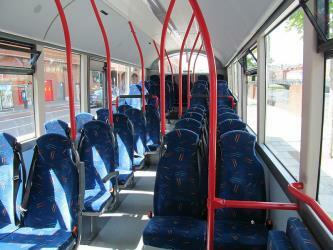 The journey, including transfers, takes approximately 3h 16m. How far is it from Adare to Galway? The distance between Adare and Galway is 81 km. The road distance is 114.3 km. How do I travel from Adare to Galway without a car? The best way to get from Adare to Galway without a car is to bus which takes 3h 16m and costs 21€ - 26€. How long does it take to get from Adare to Galway? It takes approximately 3h 16m to get from Adare to Galway, including transfers. Where do I catch the Adare to Galway bus from? Adare to Galway bus services, operated by Bus Eireann, arrive at Glentworth, Limerick Bus Station. 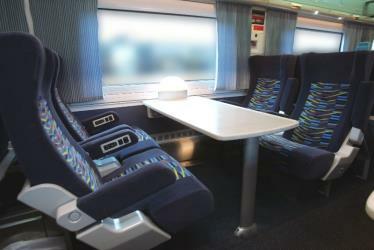 Train or bus from Adare to Galway? 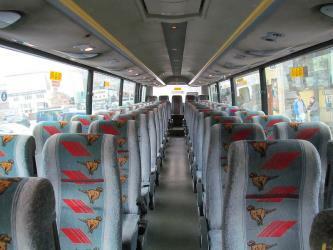 The best way to get from Adare to Galway is to bus which takes 3h 16m and costs 21€ - 26€. Alternatively, you can train, which costs 27€ - 40€ and takes 3h 23m. Where does the Adare to Galway bus arrive? 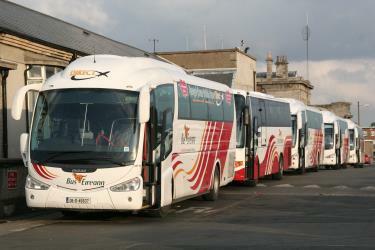 Adare to Galway bus services, operated by Bus Eireann, arrive at Eyre Square, Galway Bus Station. Can I drive from Adare to Galway? Yes, the driving distance between Adare to Galway is 114 km. It takes approximately 1h 14m to drive from Adare to Galway. What companies run services between Adare, Ireland and Galway, Ireland? 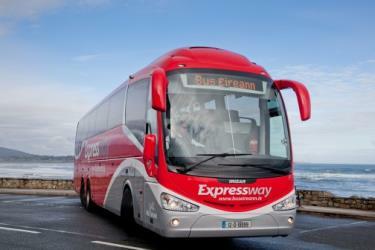 Bus Eireann operates a bus from Adare to Galway hourly. Tickets cost 15€ - 19€ and the journey takes 2h 20m. 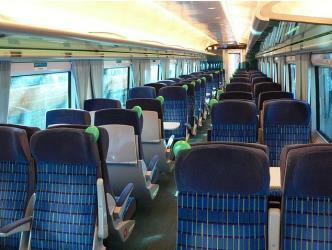 Alternatively, Irish Rail operates a train from Adare to Galway 5 times a day. Tickets cost 21€ - 30€ and the journey takes 1h 58m. Rome2rio's Travel Guide series provide vital information for the global traveller. Read our range of informative guides on popular transport routes and companies - including Thanksgiving 2018: How to travel stress-free, What documents do I need to cross Niagara Falls? 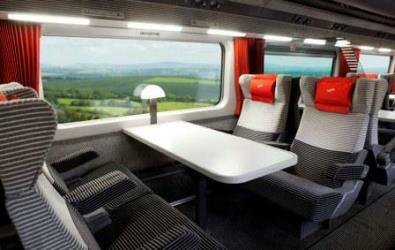 and How to get from Florence to Rome - to help you get the most out of your next trip. Where can I stay near Galway? There are 398+ hotels available in Galway. Prices start at 61€ per night. Eyre Square (Irish: An Fhaiche Mhór), also known as John F. Kennedy Memorial Park) is an inner-city public park in Galway, Ireland. The park is within the city centre, adjoining the nearby shopping area of William Street and Shop Street. Galway railway station is adjacent to Eyre Square. Galway City Museum (Irish: Músaem Cathrach na Gaillimhe) is a museum in Galway City, County Galway, Ireland. It was founded on 29 July 2006, and is located beside the Spanish Arch. The official website for the museum was launched on 27 November 2008. The Cathedral of Our Lady Assumed into Heaven and St Nicholas (Irish language: Ard-Eaglais Mhaighdean na Deastógála agus Naomh Nioclás), commonly known as Galway Cathedral, is a Roman Catholic cathedral in Galway, Ireland, and one of the largest and most impressive buildings in the city. The River Corrib (Irish: Abhainn na Gaillimhe) in the west of Ireland flows from Lough Corrib through Galway to Galway Bay. The river is among the shortest in Europe, with only a length of six kilometres from the lough to the Atlantic. It is popular with local whitewater kayakers as well as several rowing clubs and pleasure craft. The depth of this river reaches up to 94 feet. 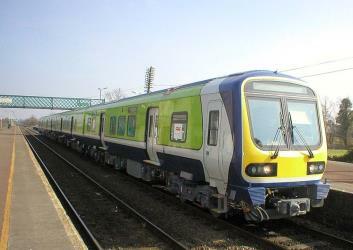 Rome2rio makes travelling from Adare to Galway easy. Rome2rio is a door-to-door travel information and booking engine, helping you get to and from any location in the world. 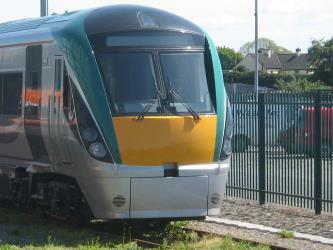 Find all the transport options for your trip from Adare to Galway right here. Rome2rio displays up to date schedules, route maps, journey times and estimated fares from relevant transport operators, ensuring you can make an informed decision about which option will suit you best. Rome2rio also offers online bookings for selected operators, making reservations easy and straightforward.